(Z)-11-Eicosen-1-ol was identified by GC-MS and microchemical methods as a major volatile component, ca. 5 μg per insect, secreted by the sting apparatus of the worker honey bee. 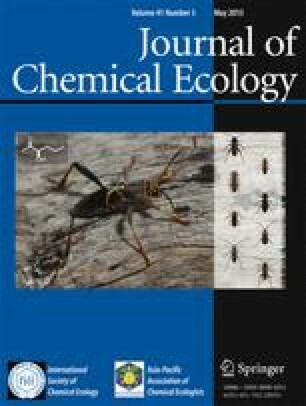 When presented on moving lures at the hive entrance, (Z)-11-eicosen-1-ol, like isopentyl acetate already known as an alarm pheromone, elicited stinging, and together these two compounds were as active as the natural pheromone from the sting. On stationary lures, (Z)-11-eicosen-1-ol prolonged the effectiveness of isopentyl acetate.